I was nervous before the signing, worried that I wouldn't be able to talk coherently when I saw her in person. But we chatted a bit while she signed my books, and I relaxed right away. She very graciously signed EVERY book I brought. Here she's signing my OUTLANDISH COMPANION. After she signed my books, Diana let me look through a folder containing pictures from the upcoming OUTLANDER graphic novel. I only browsed through the pictures very quickly (there were dozens and dozens of pages in the folder) but I have to say, the artwork is spectacular! I recognized quite a few scenes from OUTLANDER, including some from the oath-taking at Castle Leoch. I love this. 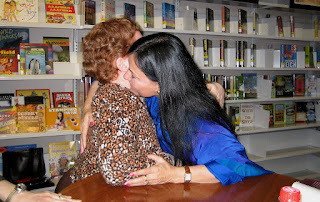 Of the thousands of people Diana's going to meet on this book-tour, how many do you suppose will get a hug? I feel VERY fortunate, believe me. I've worked hard over the past year on Compuserve, and it's clear that she appreciates my efforts very much. I thoroughly enjoyed this whole experience! It was worth the effort to go and see her, and I will treasure these memories for a long time to come. 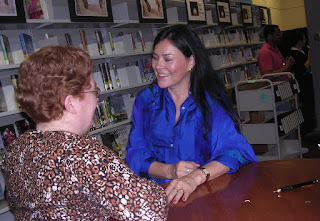 I will be attending Diana Gabaldon's book-signing in Columbia, MD, on Tuesday. This will be my first chance to meet Diana in person (though we've known each other online for several years) and I am very much looking forward to it! The brand-new PHOENIX NOIR anthology, which includes Diana's story "Dirty Scottsdale"
I'll post again in a few days with my impressions of the event. I discovered today that AN ECHO IN THE BONE is already searchable through Amazon's "search inside this book" function. I was delighted to see the search available so soon after the book came out, since we had to wait three years to get a searchable version of ABOSAA. Hope you find these links as useful as I do! I believe they're all accurate, but if you find any problems, let me know. And if you haven't yet finished ECHO, I'd recommend against using the "Surprise Me" function to go to a random page. You might stumble upon something that you really aren't meant to see yet! The big day is here at last! My mom emailed me this morning to tell me that she saw a full-page ad for AN ECHO IN THE BONE, with Diana's picture, in today's New York Times. For those of you on Facebook, Diana will be doing a chat on the Borders Facebook site today (Tuesday) from 12pm-2pm ET. The link is here. Feel free to post your comments, reactions, and questions about the book in general here. If you haven't yet finished ALL of AN ECHO IN THE BONE, you may want to read the comments here with caution, because you will encounter spoilers. Feel free to post your comments, reactions, and questions about Part Seven here. If you haven't yet finished Part Seven of AN ECHO IN THE BONE, you may want to read the comments here with caution, because you will encounter spoilers. Feel free to post your comments, reactions, and questions about Part Six here. If you haven't yet finished Part Six of AN ECHO IN THE BONE, you may want to read the comments here with caution, because you will encounter spoilers. Feel free to post your comments, reactions, and questions about Part Five here. If you haven't yet finished Part Five of AN ECHO IN THE BONE, you may want to read the comments here with caution, because you will encounter spoilers. Feel free to post your comments, reactions, and questions about Part Four here. If you haven't yet finished Part Four of AN ECHO IN THE BONE, you may want to read the comments here with caution, because you will encounter spoilers. Feel free to post your comments, reactions, and questions about Part Three here. If you haven't yet finished Part Three of AN ECHO IN THE BONE, you may want to read the comments here with caution, because you will encounter spoilers. Feel free to post your comments, reactions, and questions about Part Two here. If you haven't yet finished Part Two of AN ECHO IN THE BONE, you may want to read the comments here with caution, because you will encounter spoilers. Feel free to post your comments, reactions, and questions about the Prologue and Part One here. If you haven't yet finished Part One of AN ECHO IN THE BONE, you may want to read the comments here with caution, because you will encounter spoilers. I think the countdown above says it all. Just a few more hours! EDITED 9/22/09 6:17 a.m. to remove the countdown clock, which had started to show negative numbers. That's just silly, in my opinion, so I took it down. I was really pleased with the way this one came out. It has a suitably excited and celebratory feel to it, don't you think? Note to Kindle owners: The pre-order page on Amazon.com for the Kindle version of ECHO is working again! 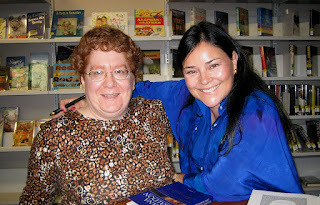 Check out the very interesting interview with Diana Gabaldon on Amazon.com. It's rather long, 18 minutes, but well worth listening to! No spoilers in this one, no excerpt-reading, just general information about the book that you'd already know if you've read the cover blurb on Amazon or elsewhere. But it's a pretty wide-ranging interview, covering a variety of different topics. I was entertained by the fact that Diana mentions both Compuserve and LOL. The link to this audio interview/podcast is also prominently displayed on Amazon's page for AN ECHO IN THE BONE, which is where I found it. 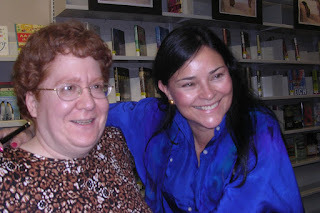 Diana Gabaldon's web site is back up, after being down all day yesterday. Check out the latest update, including pictures of some of the lucky recipients of the special-edition OUTLANDER paperbacks from the recent contest on the Random House site. And the Tours page on her site has also been updated with the latest information on Diana's book-tour. In other news...I've started playing around with Facebook (got talked into it by my nieces when they visited this summer <g>) Just a bit, mind; I really don't have time to explore it in any detail just now. But if you are interested, visit my Facebook page here. We've made it to the final week. Only six more days before ECHO's release! What are the rest of you doing to pass the time in these last few days? 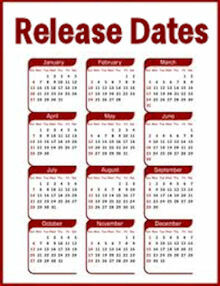 Do you have any special plans for the release day? Anybody planning to stake out their local bookstore on Tuesday, to get a copy of ECHO the moment it's available? Are you taking time off from work to read the book? 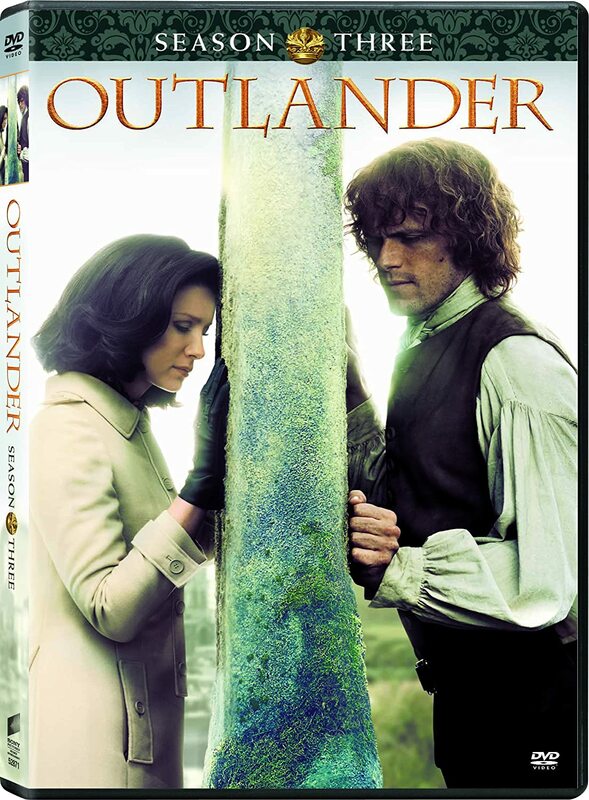 For those of you who've been through this before with Diana's other books, do you do anything special when you get your hands on a new OUTLANDER book? If you have a favorite ritual, even if it's something as simple as turning off the phones in your house or curling up in your favorite chair with a glass of wine, let us know. As for myself, I mentioned on Compuserve the other day that my job as Section Leader there comes with "benefits". In other words, YES, Diana was generous enough to send me an early copy of the book. (By e-mail. I haven't seen it yet in printed form.) And no, you WON'T pry anything out of me. <g> Sorry. So on the release day itself, I will be able to sit back and enjoy watching others' reactions. And I am really looking forward to hearing what the rest of you think of the book! The artwork for the graphic novel is done (bar little tweaks here and there) and it looks terrific! We don't have a specific pub date for this yet—sometime in 2010—but we do at least have a title. This is called THE EXILE (An OUTLANDER graphic novel). Check out the two new sample pages of artwork from the graphic novel, here. The first shows Claire being pulled from the water by one of Black Jack Randall's men -- catch the glimpse of BJR himself in the doorway in that last frame, holding a riding crop? <shudder> I love the look on Claire's face in that last frame. The second is a scene we did not get to see in OUTLANDER, but it's easy enough to see what's going on here. Jamie and Murtagh are in a barn and Jamie is washing himself. This appears to be just before the wedding, because Murtagh is handing Jamie the pearl necklace that Jamie will later give to Claire when they meet just before the ceremony. I have to say, based on that first frame, I think the artist got Jamie's build JUST right -- long, lean, and muscular. His eyes aren't always perfect - I think the eyebrows aren't right in the third frame - but overall, yes, this is unmistakably Jamie. Please don't nab these pictures and go posting them all over the net. I don't own the copyright; that belongs to the artist, Hoang Nguyen, and these are posted here by his kind permission and that of the Ballantine editor. If you'd like to share these with your friends—and I'm all for it [g]—please just send them a link to this page. What about the rest of you? What do you think of the pictures? If you want to comment on Compuserve, by the way, the thread is here. After a hiatus of about five months for the Final Frenzy of AN ECHO IN THE BONE, Diana Gabaldon has finally started updating her blog again. An account of the last days of writing ECHO, including a bit of verrry interesting news at the end that I haven't seen her mention anywhere before, even on Compuserve: "I'm going to tell the story of Roger MacKenzie's parents." Two posts with detailed information on her book-tour appearances in the U.S. and Canada. UPDATE 9/11/09 5:55 am: And another with information on the New Zealand part of her book-tour. UPDATE 9/12/09 5:19 am: Wow, this is really feast-or-famine, isn't it? Diana just posted two more blog entries: information on her Australia book-tour, and a graphic novel update (with pictures!) See my reaction to the pictures here. I'm sure you all remember the battle of Alamance, in FIERY CROSS, after which Roger was hanged. Here's an interesting article from today's Raleigh [NC] News & Observer, about the battle, describing how historians and archaeologists are re-examining the site. I thought this was fascinating. I'd never seen this battle mentioned anywhere outside of Diana's books before. 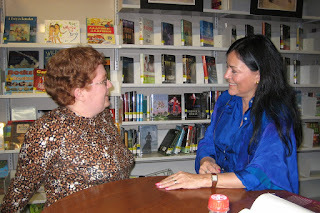 The Random House web site with Diana Gabaldon's U.S. and Canadian book-tour information has been updated to show more specifics about the Canadian book-tour events and locations. Thanks very much to Claire on Compuserve for passing along the link to the Australian publisher's site showing the stops on Diana's Australian book-tour. Diana has posted details of the New Zealand events on her blog, here. Please keep in mind that Diana says these book-tour schedules are prone to last-minute changes! Keep checking these sites for further updates. This month marks the one-year anniversary of Outlandish Observations! Thank you so much to all my readers, especially those who've left comments here or contacted me by email to offer their support. I'm still having fun with this blog, and I hope you'll continue to visit here in the coming months, especially after AN ECHO IN THE BONE comes out. In this first year, I've had more than 57,000 hits and 77,000 page views. I think that's amazing, considering that I am a first-time blogger. This site averages about 150-200 hits per day. I've had visitors from many different countries, all over the world. Diana knows about my blog (and I didn't actually die of embarrassment when I found that out!) I have no idea if she has actually visited this site or not, but I am sure she knows it exists. 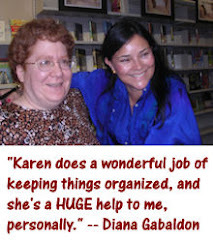 It's helped bring many new members to the Compuserve Books and Writers Forum (the online community where Diana Gabaldon hangs out). That wasn't my primary reason for creating this blog, at all, but it's been very gratifying to see new members pop up on Compuserve who mention having seen my blog. Thanks to all of you! By way of celebrating this milestone, I thought I'd offer my first MckLinky list. I've been noticing these on other sites recently and wanted to give it a try myself. Please enter your site's name and URL below. And if you want to leave a comment, that would be much appreciated. Thanks! 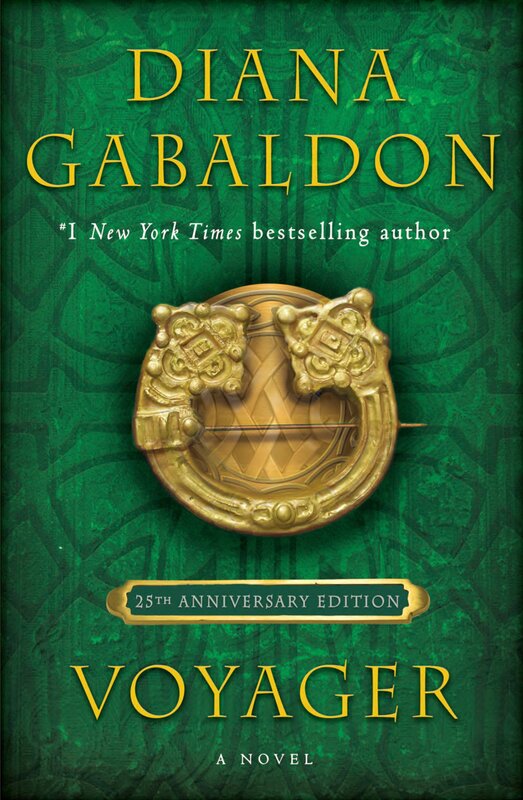 WARRIORS Anthology and "Custom of the Army"
As some of you may be aware, Diana Gabaldon has written a new Lord John story, titled "The Custom of the Army", to be published in an anthology called WARRIORS, edited by George R.R. Martin and Gardner Dozois. I would note that there are a lot of excellent authors included in that anthology, so even if you _do_ primarily want "Custom of the Army," I'm pretty sure you'll enjoy a lot of the other stories, too. The table of contents for the WARRIORS anthology can be found here, along with a list of authors. I'm not sure whether I will pre-order, or wait until the book comes out so I can browse through it in the bookstore. It's a hardcover, with a cover price of $27.99, which is pretty expensive if you're mainly interested in the Lord John story. But I thought I'd pass the information along in case any of you are interested. You can find more information about "Custom of the Army" on Diana's blog, here, and an excerpt from the story is here. From what I have seen of it so far, it looks like a fun story, and a must-read for Lord John fans! Thanks to Laura at Laura's Reviews for the Heartfelt Award. 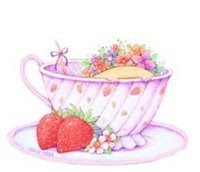 "Do you reach for a cup of cocoa or tea when you're relaxing, seeking comfort, sharing a plate of cookies with family and friends? You know the feeling you get when you drink a yummy cup of cocoa, tea, or a hot toddy? That is what the Heartfelt Award is all about, feeling warm inside." I'm not in a position to be able to pass it on just at the moment, unfortunately; this is the fourth blog award I've received in the past two weeks, and I just don't have that many high-quality blogs that I follow on a regular basis. But thanks for thinking of me! So we've made it to September, finally! Three weeks and counting until the publication of AN ECHO IN THE BONE! Have you pre-ordered AN ECHO IN THE BONE? 37.6% - Yes, I pre-ordered through Amazon or some other bookstore. 18.1% - No, I will buy it on or after the release day. 12.1% - No, because I don't want to risk it not arriving on September 22. 11.4% - I haven't yet, but I intend to put in an order soon. 8.7% - Yes, I pre-ordered a SIGNED copy from the Poisoned Pen bookstore. 4.0% - No, I will get it from the library. 1.3% - No, because someone else is buying it for me as a gift. 0.7% - I pre-ordered the audio version, but not the printed book. There were 149 responses to this poll. Thanks so much to everyone who participated. I think the variety of results are very interesting. Please take a moment to vote in the September poll. I'm curious to see what the answers are to this one.